Hawks striker Alfie Rutherford has joined Eastbourne Borough on loan. Rutherford has struggled to get a place in the starting line-up this season and is desperate for first-team football. 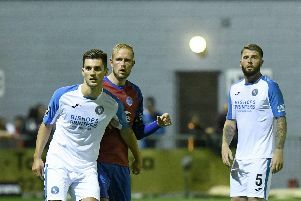 The striker will join up with his old Bognor Regis manager Jamie Howell in Sussex with the National League South side.